I’m little lunatic when it comes to watching stars 🙂 At the moment there are 5/planets aligning across skies and I’m so excited to have a glimpse of it though I’m not able to spot them correctly among hundreds other shining stars but its a fun exercise to do so. I could also see Orion right outside my window after midnight and I hopelessly await them to present their show. I have always lived in cities; away from country charm and open skies, yet even in a busy street whenever I spot a full moon or a beautiful constellation I stand aside for few moments and enjoy the wonder. 😀 My star fascination goes back to my childhood when as a young girl I loved spending time in my balcony right before dawn. I find it therapeutic. Even today, given a choice I would always pick star gazing over a kooky night out. I believe the stars above know our entire story. They know who we are and from where we’ve come from and how far we would go. They have existed in this infinite universe since eons and have known our soul in every incarnation. When I look at them in awe, I find them mysterious, all knowing, and something close to my heart. I feel a part of me is out there watching me back from above. I have learned that there are birth constellation in Vedic literature. Our own can help us decode our spiritual DNA. The information associated with each of these constellation is astonishing to know how well it can resonate with our individual personalities. it’s an enormous tool to understand one’s identity, the reasons for actions and the psyche. This universe is a mammoth in its essence. It speaks for our constitution. The truth is that we have been beautifully designed like those constellations. Our composition is so perplexed and intense and we all are equally struggling to complete the unfinished lessons from our karmic lives. We need to accept this bigger picture to fuel our compassion and kindness toward each other. I believe a rose is a good reminder of our distinct individuality. We all have our weakness and shadows just like those thorns, but if we realise our true selves and aim to reach for the sunshine, we could gain the same magic to blossom into eternal sweetness. 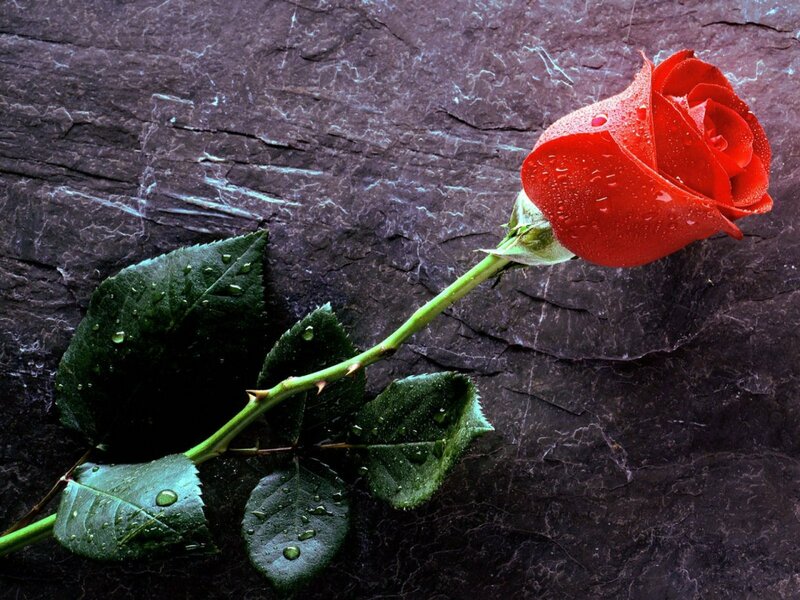 From a rose, we must learn that we need to focus on glorifying our own souls and be humble enough to accept all that pricks our hearts along the journey of life. Life won’t be easy but let’s make it worthy to live. Wise men have advised us throughout the history that hard times will be a part of our beautiful journey. The obstacles represent those thorns and the love filled moments mirror the essence of roses. Whenever we are feeling down we could take a look at the duality of a rose. We could remind ourselves of the above. So in spite of our struggles, let us take a moment from our busy lives to smell a rose along way. We all are born of emotions but most of us fear to reveal our true selves fearing rejection or disapproval. our feelings are the storehouse of our emotions that come from our hearts. If only we fully manifest them, we come with a power to create extensions of our individual impressions. I never understand why the business world hesitates to involve emotions into their process. During my professional career I’ve rarely encountered executives considering their customer’s or employees emotions while drafting turnaround strategies. My personal belief is that each one of us come with beautiful composition and that the management should now take the responsibility of people’s emotions to encourage creativity and holistic development of the entire business. I encourage understanding each other first for healthy execution of team work and projects. I encourage people to follow their hearts. Why wrinkled skin matters so much! Why me? – We have all been there. Ankita on Sanskrit even heals! sonofthemountains on Sanskrit even heals!